Quality is one of the toughest concepts to understand. Maybe "Quality"is treated on lines of "Importance" or "Logic". Philip Crosby said, "Zero Defects". Many say, "Customer Satisfaction". Edwards Deming was the first guru on Quality. He was mainly interested in statistical quality analysis and quality improvement. He referred to methods of Shewart in statistical analysis. Juran stressed the importance of top management on Quality. He was the second guru on Quality. He talked about Pareto principle (80:20) and time spiral. Armand Feigenbaum, the third American Quality guru stressed on Total Quality Management. He talked about problem solving abilities, conflict resolution, standardization. He stressed that everyone has a responsibility on Quality. Genichi Taguchi, the Japanese Quality guru was interested in quality of products and made formulas for better products. He said cost can be brought down by quality of products. Kaoru Ishikawa, the Japanese Quality guru pioneered the cause-effect diagrams and was instrumental in the Quality circle idea. Philip Crosby, an American Quality guru believed that quality is free. Conformance to requirements, zero-defects were some of his ideas. 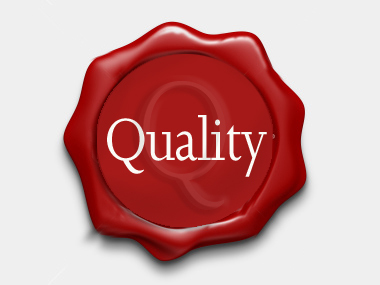 ISO is one part of Total Quality management. It is concerned with standardization of processes and methods. Six sigma is the latest buzzword and nothing but 3.4 defects in a million is acceptable in this standard. (Motorola level). I feel, those interested in quality should assimilate knowledge on Total Quality Management first. Then they can read individual thoughts. Many times people copy. Honda's body frame tecnique. Or Suzuki reverse one light tecnique. Patents are important. But Japan has social reach patent method, I think. Quality improvement by patents is a subject under Total Quality Management, I feel. Patents and copyrights are not applicable in India. Anyway, Genichi Taguchi has given enough methods to improve quality of products. Cost should come down with patents. Otherwise serious steps need have to be taken by managing body. We at RDCIS have understood the importance of blocks sistem of Taguchi. RDCIS and SAIL have shown tremendous faith in my pythagoras block. Genichi Taguchi is possibly the greatest the world has seen. Taguchi may have had to eat his words because of cost. India is a weak country. Hindus are Buddhist like. I am planning to implement ideas from "100 methods in Total Quality Management" by Gopal Kanji and Mike Asher. I shall also refer to "The Decision Book" and "The Change Book"by Mike Krogerus and Roman Tschappeler.